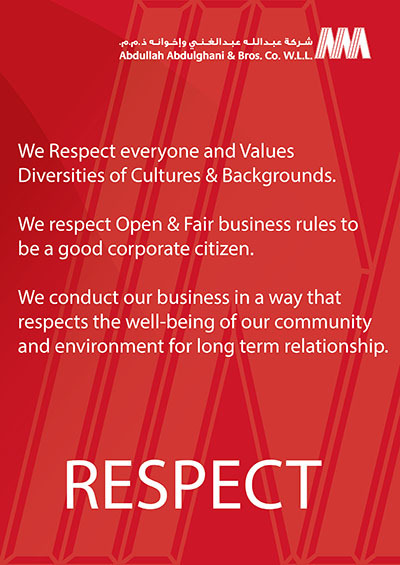 Throughout our evolution, our Core Values remain unchanged as they form the foundation of our culture and acts as a compass for our actions. From modest beginnings in the infrastructure industry, we have evolved into one of the leading companies in Qatar proudly contributing towards the Nation’s growth in line with the Qatar National Vision 2030. Abdullah Abdulghani & Bros. Co. W.L.L. 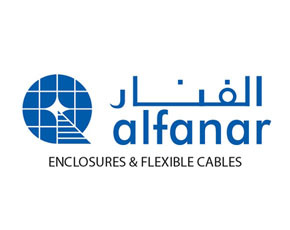 was founded in the year 1958 by one of Qatar's pioneering business families. 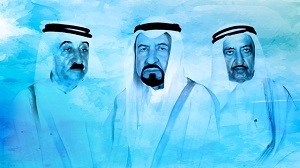 Established by our revered fathers – Abdullah Abdulghani Nasser, Abduljaleel Abdulghani Nasser and Abdulghani Abdulghani Nasser, the company was formed with a commitment towards nation building. The core values and fair work ethics instilled by the visionary founders run deep and is carried through to the present generation and employees. AAB has since grown into a strong diversified business group covering the automotive industry and associated businesses. In 1964, the Toyota dealership was awarded to AAB by Toyota Motor Corporation (TMC), Japan and this was the turning point in AAB's business. 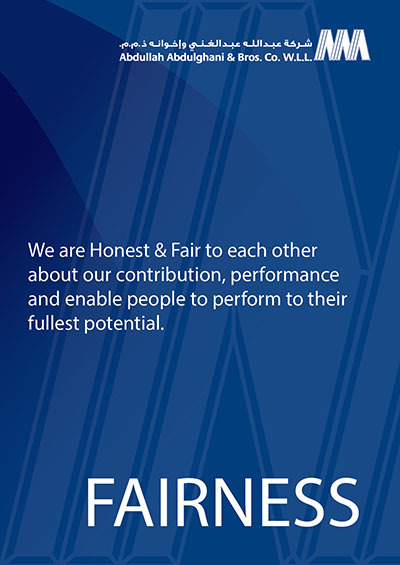 The strong 50 years of partnership with TMC has been based on shared trust and values. 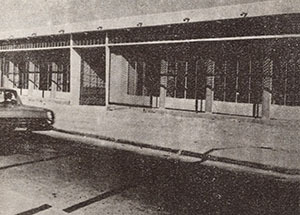 The Toyota distributorship began with a fleet of 20 cars and 20 employees. 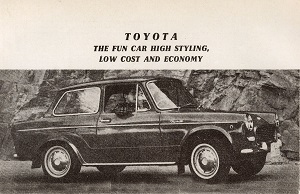 In 1968, four years into the partnership with Toyota, the caring customer service combined with the innovative cars, resulted into an annual sales of 1,630 units. In 1982, 6,083 Toyota cars were sold out in the Qatar market, accounting for almost four times as much as the 1968 figure. 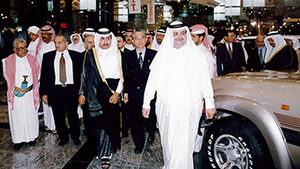 On 7th December 1997, the Al Abdulghani Tower was inaugurated by H.E. 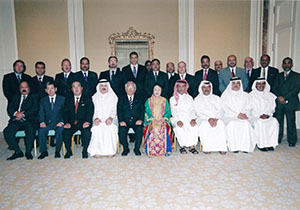 Sheikh Mohammed Bin Khalifa Al Thani, Minister of Finance, Economy & Commerce. 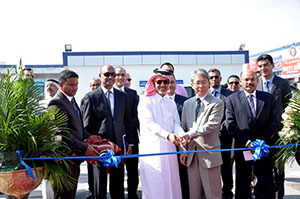 An important milestone was achieved when the Main Service workshop was launched at Street 5 of the Salwa Industrial Area. The workshop is equipped with state of the art technology and skilled technicians to meet the requirements of our valued customers. To meet the demanding needs of our customers the RAC department was set up with 15 vehicles and limited facilities. Now we have become one of the leasing rental companies in Qatar with around 9,000 vehicles in our fleet and provide short term rental and long term leasing. 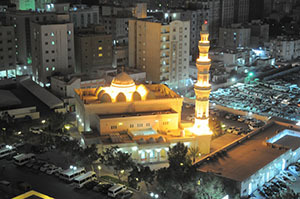 In the year 2000, the Al Abdulghani Mosque was built within the premises of the Al Abdulghani Tower. Fully lighted in the evening, it is a sight to behold. The Spare Parts Department growth enabled the set -up of a central building to manage the spare parts operations. 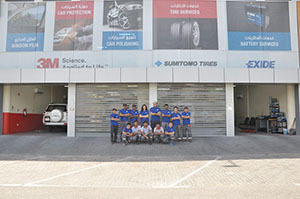 We currently have reached 94% spare parts availability with our 4 authorized dealers and 21 branches across Qatar. The first Quick Service Center (QSC) from our QSC Network. The QSC provides fast work on selected repair jobs by skilled Toyota technicians for accurate diagnosis. 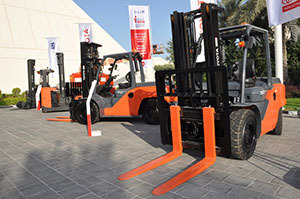 Initially called as the Heavy Equipment Department (HED), the Commercial Industrial & Automotive Solutions department was the beginning of business diversification of products and services provided by the AAB group. AAB has since become a multi-product and multi-brand business unit which provides Sales & After Sales services of Heavy Equipment, Auto Ancillary products, 3M products & services. 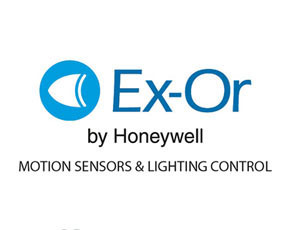 Construction & Material handling equipment, Warehouse Solution, Security Solution and Electrical Solutions. 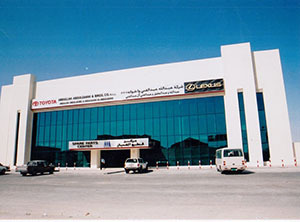 Established in 2004, the Madinat Khalifa QSC (known as Landmark QSC) is the 2nd Service Center established by AAB. The 8th largest among the Service Network when it comes to space, Landmark QSC is located at the eastern side of Qatar. To reach out to more of our customers, our second Toyota showroom was opened at a very strategic location at the City Centre Mall in West Bay. 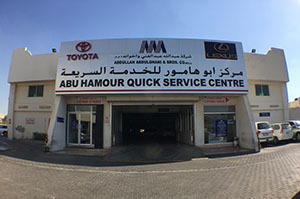 Abu Hamour QSC is the 4th Service Center established by AAB in May 2009. It is the 5th largest among the Service Network when it comes to space. 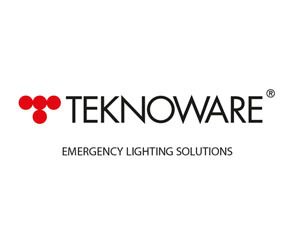 The QSC is the first to be TSM Kodawari Certified in January 2010. In 2016, it received the Express Maintenance Certification. Wakra is located at the southern side of Qatar and about 30 minutes drive from the Main Service Center in Street 5, Industrial Area. To reach out to our customers in the area, the 5th Quick Service Center (QSC) was established. It is the 3rd largest among the Service Network when it comes to space. 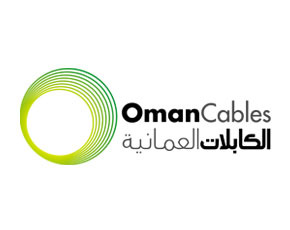 Currently, it is one of the QSC's providing Express Maintenance Service. Al Khor is one of the oldest cities in Qatar and is North of Doha. 57 km away from Doha, this facility was built to give more accessibility and convenience to our customers for servicing their vehicles. The Golf Course Quick Service Centre is the 6th QSC established by AAB. It is located before the Doha Golf Club along Al Khor Coastal Road in Lusail. 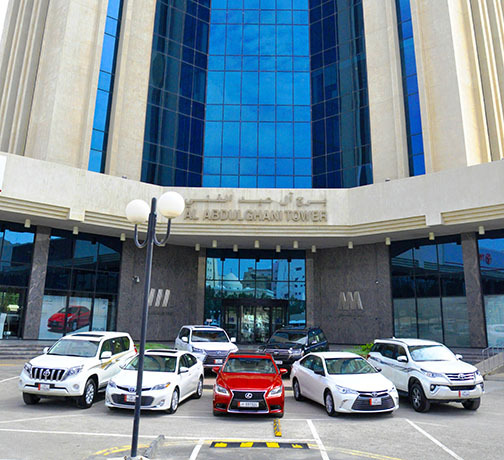 With the Consumer Protection Department (CPD) announcement to foster closer customer interaction with car dealerships in Qatar, AAB was one of the first automotive companies to support this initiative. A CPD office was set up at our Main Service workshop to enable the CPD officers to directly deal with customers who had queries on CPD laws on automotive issues. 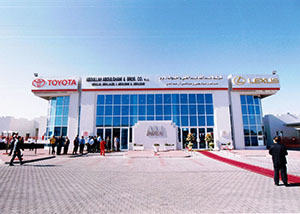 AAB Call Center is a dedicated one stop shop for all customer needs and enquiries for Toyota and Lexus. Through surveys, customer get-togethers, service appointments along with website and Facebook inquiries, we manage to get close to our customers’ hearts and minds. With the latest in-house complaint management system, we have also managed to track and close cases at a low average of 1-day resolution. 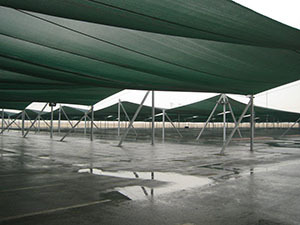 AAB constructed the biggest covered car storage in the Gulf Region introducing the Super Span Shades. This car storage facility can accommodate approximately 6,000+ vehicles. 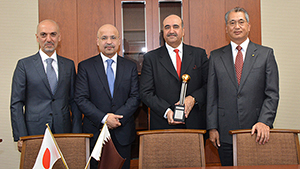 AAB was awarded the prestigious Diamond Award from TMC as a result of achieving the Marketing Award for Excellence - Vehicle (Gold Award) and the Customer Satisfaction Award (Gold Award). AAB achieved the World Record of the Largest off-road convoy in the world with the participation of the Toyota vehicle owners in Qatar. Under the theme, ‘1 Nation, 1 Record,’ the Guinness attempt was organized as part of the celebrations for the 50th partnership anniversary with TMC. 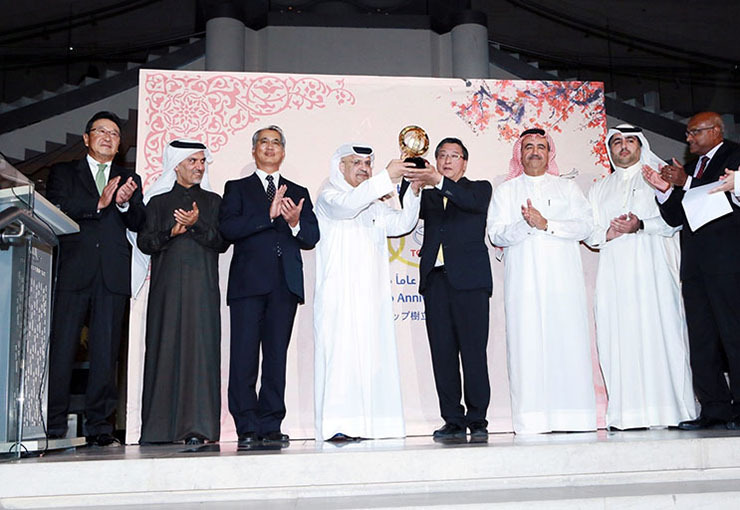 True to its slogan “1 Nation 1 Record”, the event was attended by consumers and non-consumers of various nationalities in Qatar, who were united in achieving the world record. 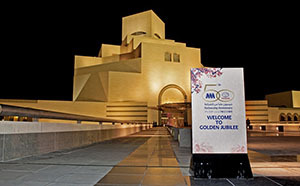 The celebration of 50 glorious years of partnership between TMC and AAB was held at the Museum of Islamic Art. It was well attended by senior government officials and respective leaders from the private sector and other industries. Top executives of TMC came from Japan for the prestigious occasion, led by Mr. Yasumori Ihara, Executive Vice President and Member of the Board of TMC. 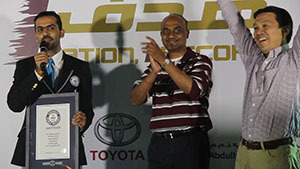 GCC Toyota dealers also joined the festive occasion. 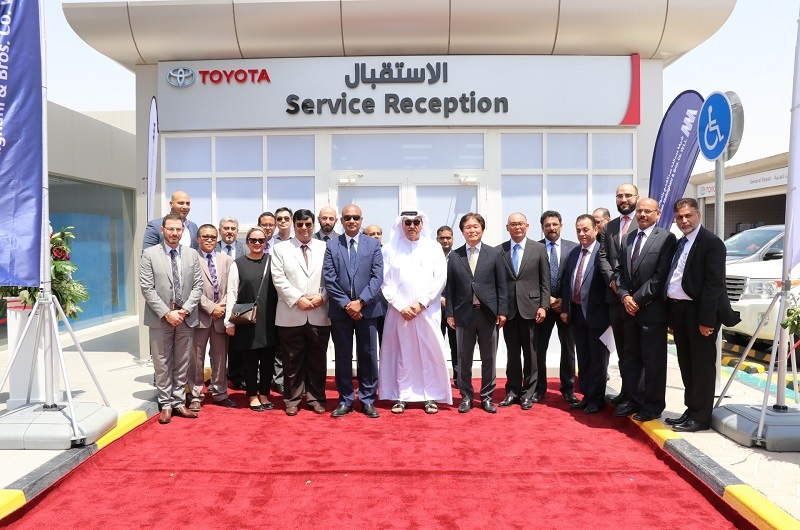 The Al Nayef Quick Service Centre was inaugurated in the presence of Mr. Osama Al Abdulghani and representatives from Toyota Motor Corporation (TMC) - Japan. 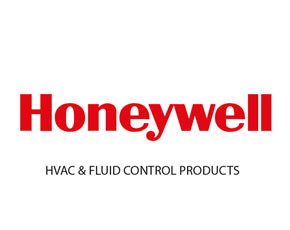 The 7th QSC is a testimony to AAB's commitment of providing excellent customer service. Customers are given more access to our services. 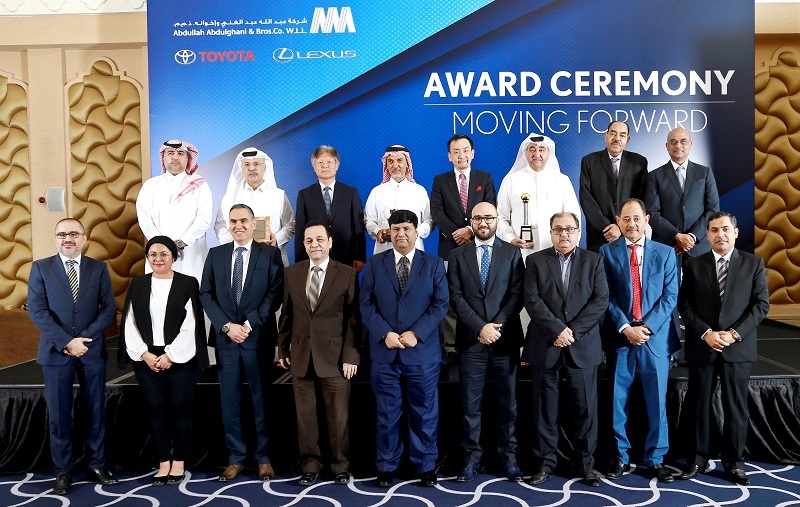 AAB was awarded the Gold Marketing Award for Excellence, Outstanding Customer Service Award and the coveted Diamond Award from Toyota Motors Corporation (TMC). In addition to the above, the Gold Marketing Marketing Award for Excellence was awarded for achieving a remarkable market share in Qatar . The Outstanding Customer Service Award was given in recognition of the tireless and innovative customer service activities for the 2014 performance. The over-all Diamond Award was conferred by TMC in recognition of both Vehicle Sales and level of Customer Service. 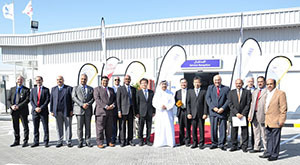 The Al Aziz Quick Service Centre was inaugurated in the presence of Dr. Nasser Al Abdulghani, AAB’s Managing Director & Acting CEO and Mr. Motoyuki Yanai, General Manager of Bahrain Representative Office (BRO) of Toyota Motor Corporation (TMC). Al Aziz QSC has ten Working Bays and two Maintenance Bays to accommodate customers’ needs. In 2016, AAB won Gold at the SAP Quality Awards for Middle East and North Africa region in Business Transformation for the successful implementation of SAP ERP and SAP DBM System. We won Bronze at the Europe, Middle East and Africa finals. AAB was marked as one of the world’s fastest deployment of DBM system. 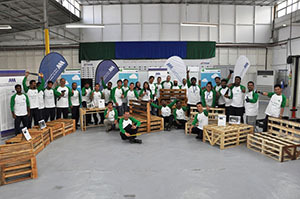 AAB Green Team was created to spearhead the sustainable practices of Reduce, Re-use and Recycle of excess materials by transforming them into aesthetically functional items to be used within the company and the community. Having a dedicated team to initiate and promote such practices, wastage of excess packaging materials, old tyres, pallets, cartons, plastic bottles and the like is minimized and transformed. Moteri Auto Care Centre was launched as a new business adding value to our already successful automotive tradition. It is dedicated to the delivery of auto care services. Moteri Auto Care Centre already has two outlets located at the Airport Road and at the Al Nayyef Petrol Station at Al Rayyan Al Jadeed. 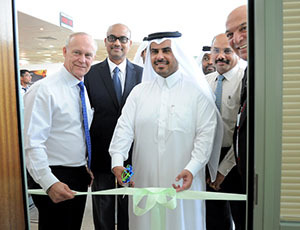 As part of AAB’s commitment to offer the highest level of quality and service to our valued customers, the Airport Road Service Center was inaugurated to meet the Service requirements of those living in areas such as Matar Qadeem(Old Airport), Al Hilal, Al Thumama, Umm Ghuwailina, Al Mansoora, Doha Jadeed, Ras Abu Aboud, Najma & Bank Street, C-Ring and D-Ring Roads. The new Service Center has 15 fully air-conditioned working bays with 13 lifters and 4 car wash bays. Necessary tools and equipment are available to perform all types of periodic maintenance, Air conditioning jobs, Suspension works and timing belt replacement. A state-of-the art facility with a total area of 28,000 square meters, the Lexus showroom provides a sophisticated, tranquil environment where customers can feel at ease and privileged in owning a Lexus. The showroom can display a total of 34 vehicles. The concept built around transforming function into emotion, performance into passion and technology into imagination can be seen. The showroom is inspired by the best modern applications of traditional Japanese culture combined with an amazing experiential Salon. 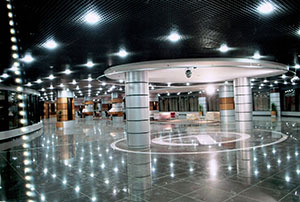 The First Express Service Center was inaugurated in Shahaniya. It is located in Woqod Petrol Station, Shahaniya Dukhan, Road. Aside from maintenance services, highlighted among the services in the Center is the Express Lube Plus Service which is a new concept from AAB. Founded in the late 50’s of the last century by our revered fathers, Abdullah Abdulghani & Bros. (AAB) has grown from modest beginnings into a leading Group in Qatar, which is renowned across the entire region. 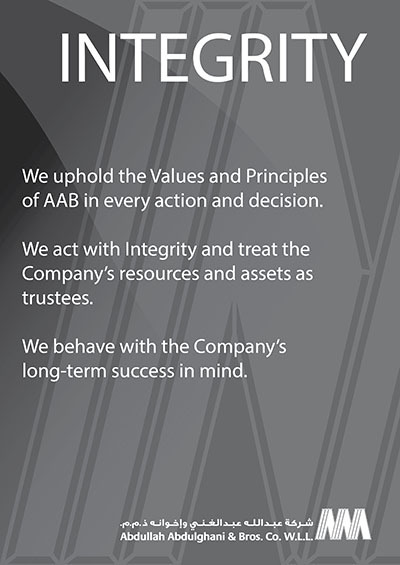 AAB started as a construction company with a vision for growth. And to stay true to our aspirations and to keep pace with the continuous development in Qatar; we diversified our sectors into the automotive industry in 1964. Since then, we have sustained a continuously blossoming partnership with Toyota Motor Corporation (TMC). 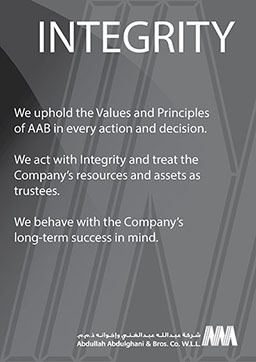 Through our firm and serious commitment to our entrenched values of fairness, integrity, respect, superior performance, and teamwork; we succeeded into making AAB a regional model for success and remarkable achievements; characterized by sustainability, business diversification and growth, and harmonious competent team. We have neither lost sight of our social responsibilities nor the importance of playing a vital role in the contribution to our community. Our incessant success has been fueled by our dedication to putting customers first. 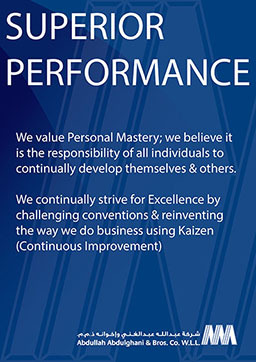 We are no longer aiming at exceeding the expectations of our customers; however, creating a unique and enjoyable journey is our new passion. Accordingly, we have taken measures to create an unparalleled customer experience through our highly accessible and reliable products and services. 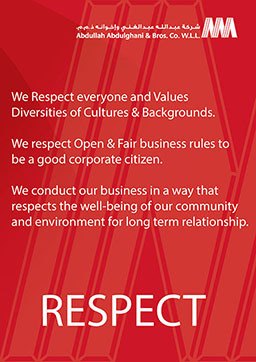 We pledge, as a company with a deep-rooted pioneering spirit, to remain at the cutting edge of each industry we work in. We will always remain committed to providing substantial value to our society, under the wise vision of our beloved country's lead, on top of which is HH Emir Tamim Bin-Hamad Al Thani; while continuing to grow sustainable and ever-flourishing businesses. We are proud of our past and passionate about our future, and we look forward to continuing our journey of success alongside our partners. 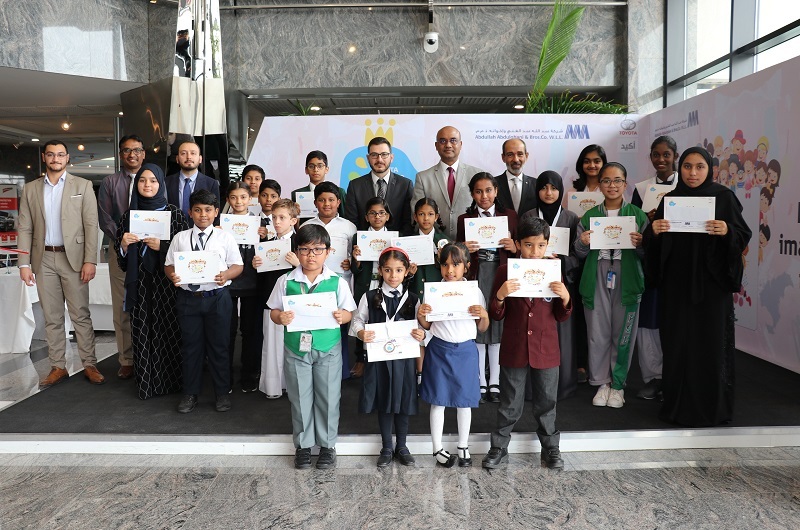 Abdullah Abdulghani & Bros. Co. held the AAB Chess Open Edition 3 in collaboration with Qatar Chess Association. 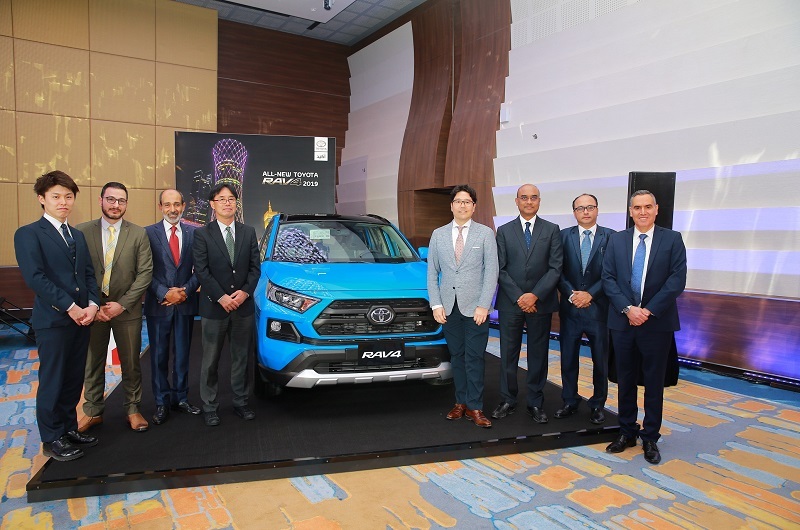 AAB has unveiled the stylish, all-new 2019 Toyota RAV4 in Qatar, bringing a new era of improved performance, capability and safety. Shell and Core Offices available at the luxurious Lexus Showroom Building located at C-Ring Road. Offices for Rent available at Al Abdulghani Tower (Toyota Tower). Call us now! Be Different. Choose Differently. Offices for Rent available at the Lexus Showroom Building. Located at C-Ring Road. Enjoy your weekend to the fullest! Shell & Core Office Space available for rent. Check out the best office location at the iconic Lexus Showroom Building. Check out the All - New 2019 RAV4 at our Toyota Showroom. Hotline: Toyota 800 1800. 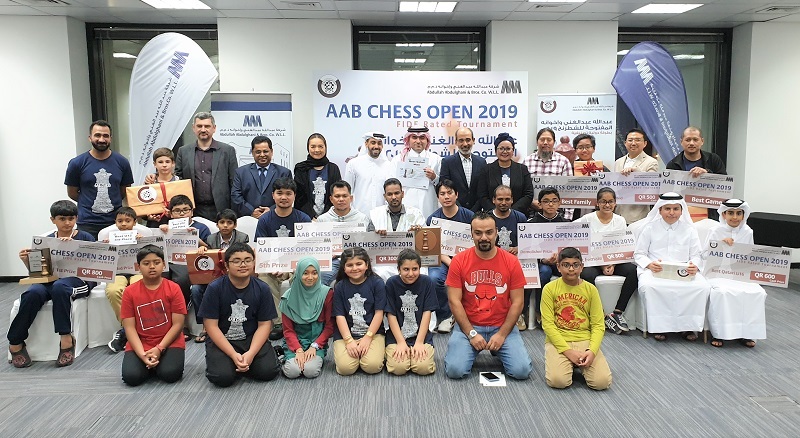 AAB Chess Open 2019 - FIDE Rated Tournament 3rd Edition Today! A Prize Giving for the Ozee 7th Touch Rugby Tournament. 🏈 An AAB CSR activity to support underpreviledged children in Sri Lanka. AAB Pre-owned Vehicle Team is ready to serve you. For more information, CALL: 800 1800. Working Hours | 8:00 AM to 1:00 PM | 4:00 PM to 8:00 PM. Book your Service Appointment through our Call Center. Hotline | Lexus: 8002929. 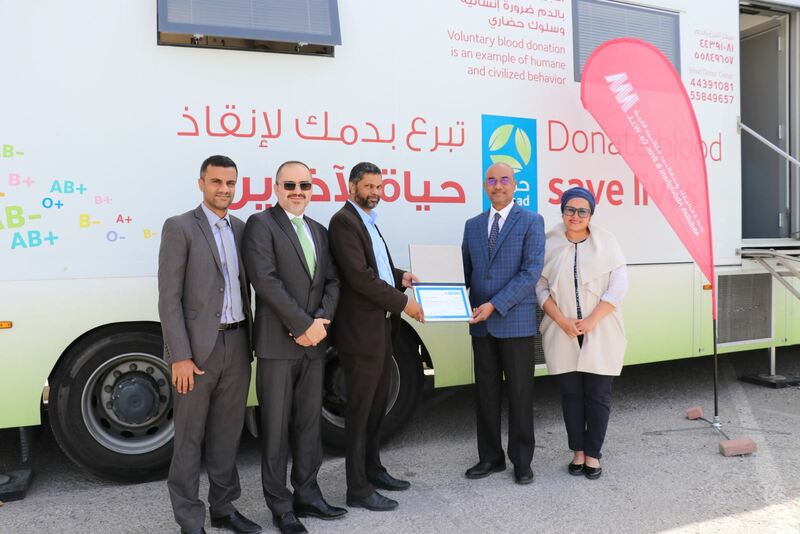 Our CSR Manager received on behalf of AAB the Appreciation Plaque from Qatar Scientific Club for its CSR contribution in the Automotive Technical Training to the Club. It will be great to hear from you. 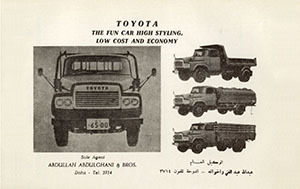 In 1964, the partnership between AAB and Toyota began which has contributed and shaped the landscape and economic environment for both Japan and Qatar. Bound by strong values and ethics, the 50 years of partnership has been strengthened over time, transcending cultural and language barriers. The strong and resilient partnership made TMC and AAB become one of the leading automobile suppliers in the country. 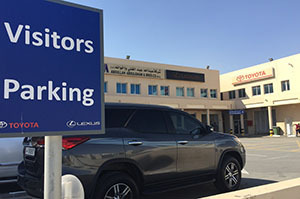 With the main showroom at the Al Abdulghani Tower and one strategically located at the City Centre in West Bay – the financial and business hub, customers can view the full range of Toyota vehicles. Our customers benefit from an exclusive account management by our sales teams who offer expert help to make sure they choose the right vehicles matching their needs and business. Established in the early 1980s and launched in 1989, the Lexus marque soon became associated with quality, luxury and superior customer satisfaction. With more than 25 years of strong partnership with AAB, it has become a brand of elegance, performance and style in Qatar. 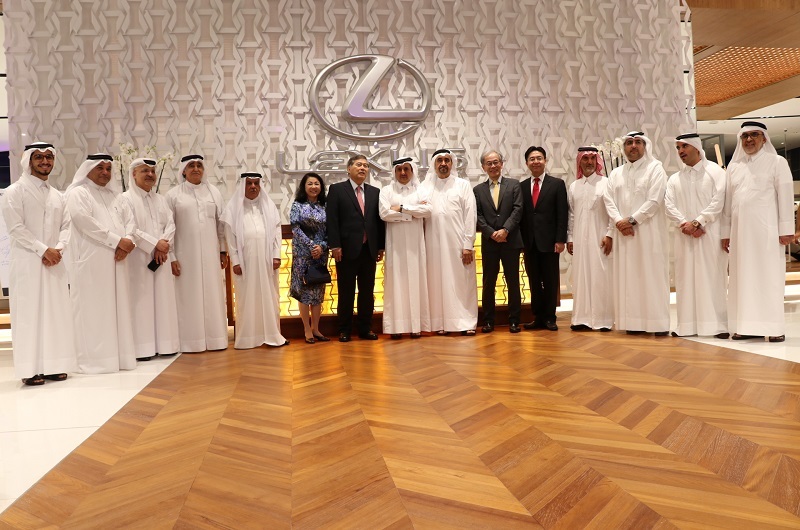 Lexus belongs to the global Toyota family, whose members together constitute the world's third-leading automaker. 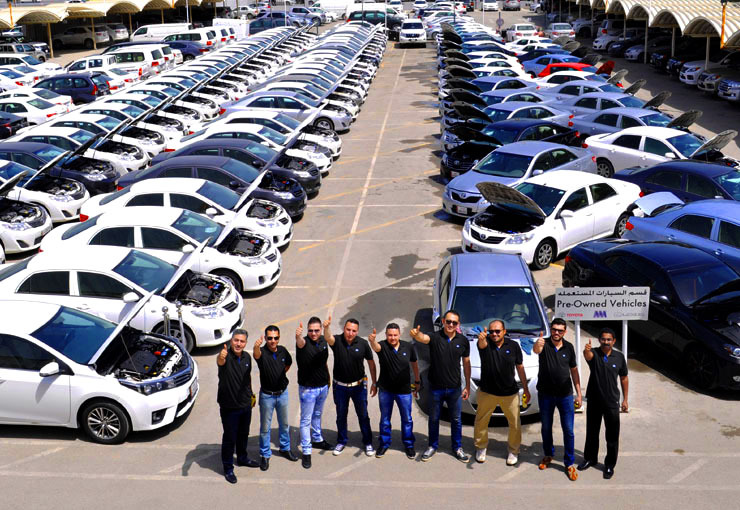 Beginning with a fleet of 15 cars in 1999, AAB’s RAC Division has become a major car rental firm in the State of Qatar over the years with a fleet of more than 9,000 units. 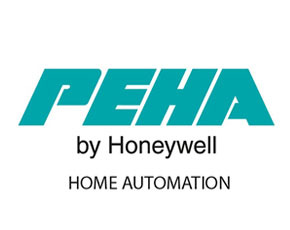 We are proud to provide our customers with high quality services and products. We believe that they deserve nothing but the best. 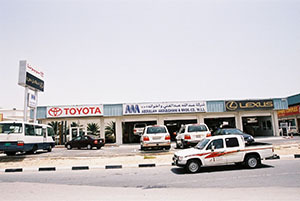 AAB launched the Trade-In Section, now known as Pre-Owned Vehicles (POV), in the year 1995 to provide high quality Trade-In services for Toyota and Lexus vehicles. 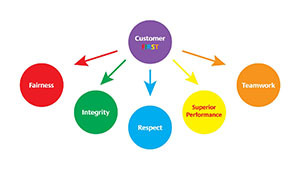 Our goal is to build and maintain trust with our customers. The success of our business is ensured by maintaining good vehicle conditions. For this reason, we have a dedicated Pre-Owned Vehicles Garage to perform all kinds of repair. In pursuit of the common goal to provide outstanding customer experience, our POV team consists of highly motivated professionals who can assist you in choosing the best Pre-Owned vehicle to suit your needs. 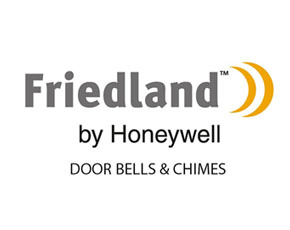 There is more than one reason to make us your First Choice when it comes to pre-owned units. AAB’s extensive inventory of Pre-Owned Vehicles have passed quality inspection and certification process and gives you the following advantage. Our Main Service Center is located in Salwa Industrial Area St. No. 5. We have 7 Quick Service Centers which are located in the different areas of Doha with excellent service facilities. The After Sales Facilities are being upgraded from time to time for maximum benefit for the customers to patronize our services of periodic maintenance and repair services. The availability of state of the art technology and technical expertise has resulted in more efficient turn-around time for servicing of vehicles. As the exclusive Agent of the world class brand of Toyota and Lexus products , our prime principle of ours is to satisfy our valued customers with the philosophy of “Customer First Policy”. 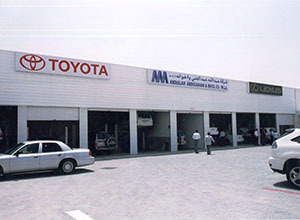 The Main Workshop and Quick Service Centers are capable to accommodate daily inflow of 950 to 1000 vehicles from minor repairs to major repairs and maintenance services. We have a Service Professional Crew of 650 personnel responsible for the daily manning and operations of the Service Centers and the ‘Customer Satisfaction’ being everyone’s concern. We keep a Safety Protocol which enables us to meet all our operations in a safety manner. 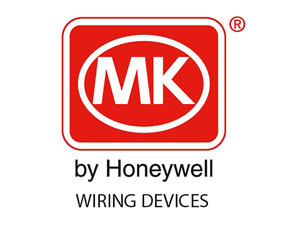 Our Outlets, Stores and Garage are complied with the Safety Standards. Our Quality Control processes are fully focused on to ensure Fix-It- Right First by our skilled Factory Trained Technicians..
All Service Centers are equipped with modern state of art technologies with sophisticated equipment and tools, situated in the key points of Doha in order to meet the requirement of our valued customers. 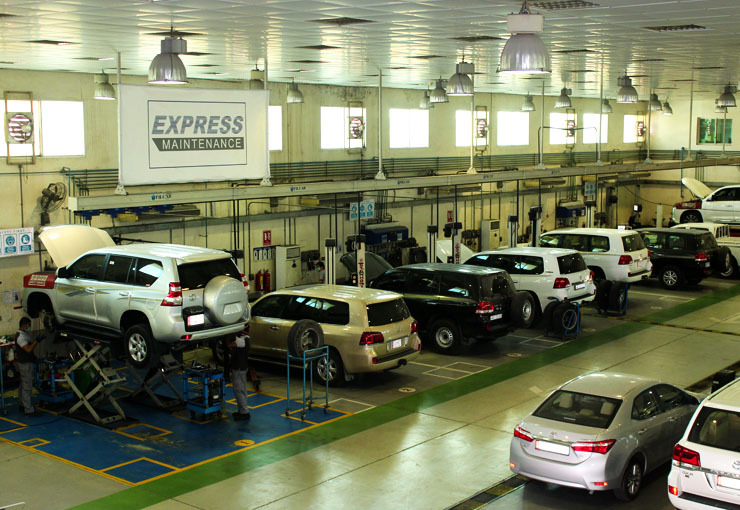 Our Express Maintenance Service is available at Al Wakra and Al Nayef Quick Service Centers. AAB has an extensive genuine parts inventory, allowing us to offer immediate availability of the only parts designed and manufactured according to the same standards and precise craftsmanship as your Toyota vehicle. 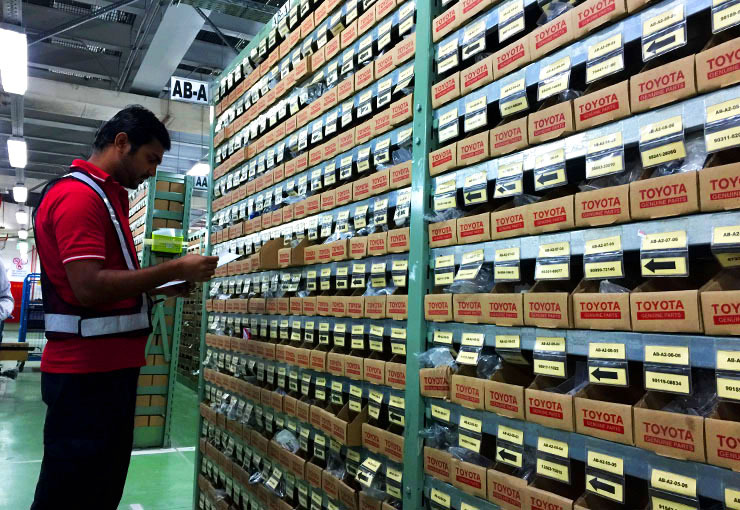 The Central Parts Department supplies spare parts twice daily to 7 Spare Part branches spread across Qatar. All our Spare Part branches are located in the service centres to allow our customers easy access to their required parts and they are manned by our friendly trained employees. In addition to our branches, we have 4 authorised dealers having more than 21 branches between them strategically located to bring the spare parts even closer to our customers. 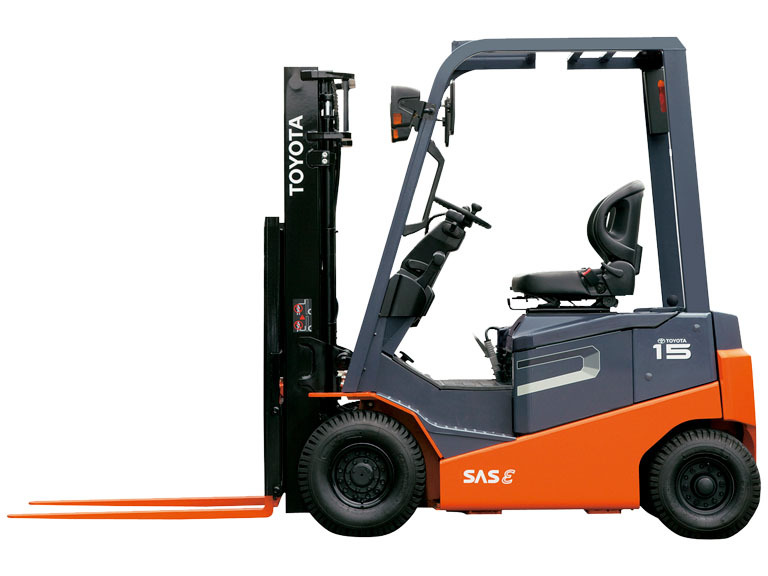 The department is managed by experienced professionals in the Toyota Way. 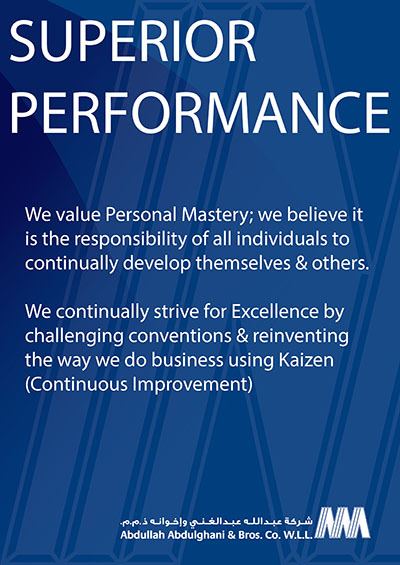 True to the kaizen principle methods are continuously sought to ensure that every Toyota customer has a delightful experience in our outlets. 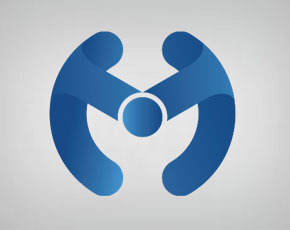 The Commercial & Industrial Division’s (C&I) reputation for quality, service and reliability has won the hearts and loyalty of its customers and partners for decades. Its extensive portfolio of products and services from some of the world’s leading manufacturers allows the C&I to bring in the latest technology to the industrial and construction sector Qatar. C&I’s superior After Sales Service assures its customers maximum efficiency and minimum downtime. While a lot has been achieved, a lot more remains to be done. The national vision for 2030 is propelling Qatar towards a knowledge based economy of the future. The FIFA World Cup 2022 will be the greatest infrastructure and logistics challenge that our country has yet faced. Driven by the passion to provide excellent customer service, AAB has diversified its business in the industrial and construction sector and is becoming one of the major players in this industry in Qatar. 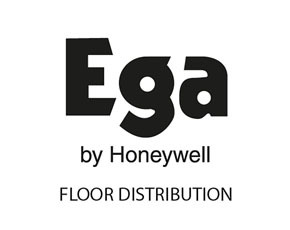 We are focused in quality, service and reliability of products to deliver effectively to our valued customers - YOU. A Division of the Commercial & Industrial (C&I) Solutions, Electrotrade is the provider of Electrical Solutions to the construction industry. 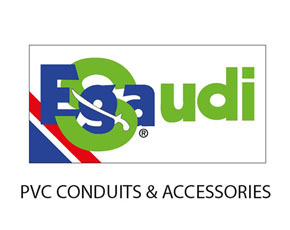 We are in partnership with World class Brands and Products to meet your construction needs. Moteri Auto Care Centre was founded in 2015 as the newest member of Abdullah Abdulghani family. 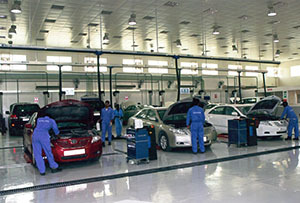 Since its establishment, Moteri Auto Care Centre committed to offer the automotive market across all brands the best auto care services in terms of vehicles appearance, protection against damage and vehicles care enhancements by applying 3M Auto Care products, best in class tyres and batteries. 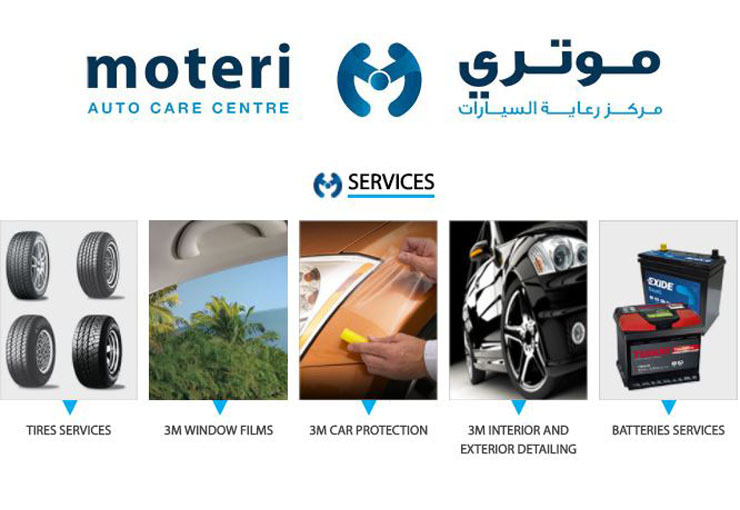 As a 3M Authorized Dealer in Qatar, Moteri is specialized in offering the complete range of auto care services, such as Car Window Tinting, Car Paint Protection Film ( PPF), Underbody Coating, Car Detailing and Car Polishing. At Moteri, we are your local tyre specialist! We carry an extensive range of quality tyres and cater for most vehicles at mid- range budget. The tyre services that we provide includes tyre replacement, wheel alignment, balancing and tyre puncture. We stock tyres for 4 x4 vehicles, van and passenger cars. Come and visit us to check your car batteries. 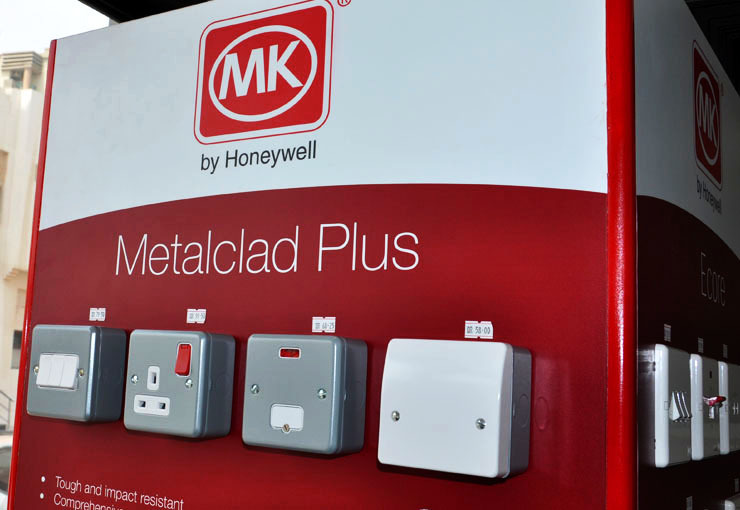 We have a wide range of batteries available to supply and fit with an 18 month warranty. Other battery services includes free installation, charging and testing. 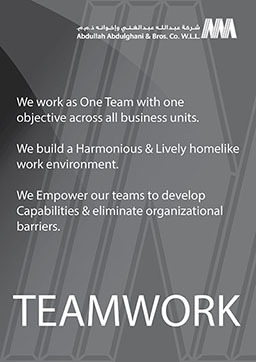 Placing our Customer FIRST, we take on a job and make sure we deliver beyond expectations. Subscribe to our latest Newsletter for Free! Kindly be informed that Abdullah Abdulghani & Bros. Co. W.L.L. 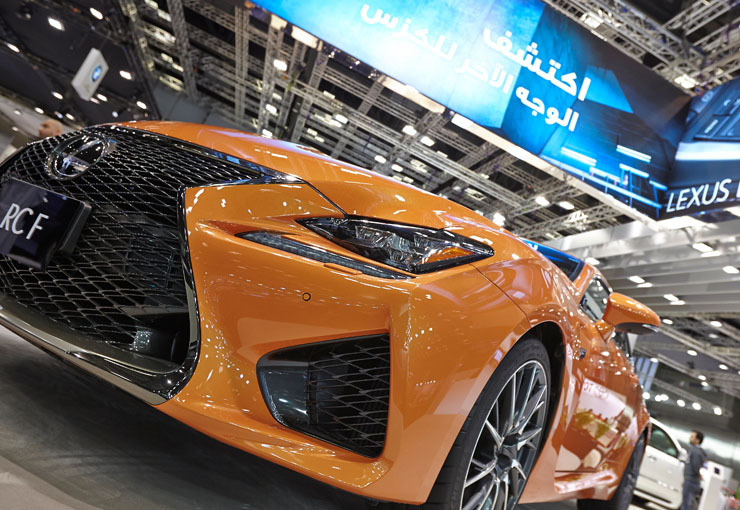 / Toyota / Lexus, its subsidiaries and branches will keep your personal information submitted to us safe and by submitting your personal information, you have given us your consent to communicate with you regarding marketing purposes such as promotional campaigns and promotional events. 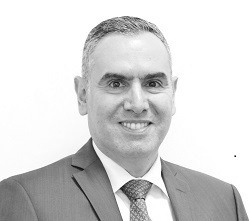 Your personal information will be treated confidentially and will not be disclosed to any individual/company not related to Abdullah Abdulghani & Bros. Co. W.L.L., its subsidiaries and branches unless ordered by the court following a judicial order. Knowing that it is allowed, any time, for the customer to request to delete or amend his/ her personal data as per article 5 and 6 of Law No (13) of 2016 of Personal Data Protection.